I have used several of these units for over two years without any flickering problems. The only problem I have encountered is they don't like getting hot. Try bypassing the splitter and see if the problem goes away. If not, it is most likely the HDMI to SDI converter failing. We have a similar issue. Our monitors go blank into a sort of power saving mode for about 2 seconds then returns. It does it at random intervals. We're going from the 11749 to 10323 (1x8 splitter) to two SDI monitors. James H, what type of cables do you use? Could you use the 3G SDI 1x4 Splitter Product # 10322 to distribute an antenna signal to three devices? BEST ANSWER: No. This device will only work with HD- SDI video signals and not RF antenna signals. With an amplified antenna the signal should have enough bandwidth to be distributed the signal to three devices. No. Antenna is RF; this is for video systems spec HD/SDI only. Can two or more of these be daisy chained for additional splitting? I’d like to split to 9 screens. BEST ANSWER: Yes, I am doing that; it works. Will this re-clock the SDI signal? BEST ANSWER: I am going to say no. It passes whatever it receives. However, this is a solid device that we have found to perform as well as AJA and BMD equiv. Dose this device support SDI embedded audio? If so, what the audio channel count? 2Ch/8Ch. 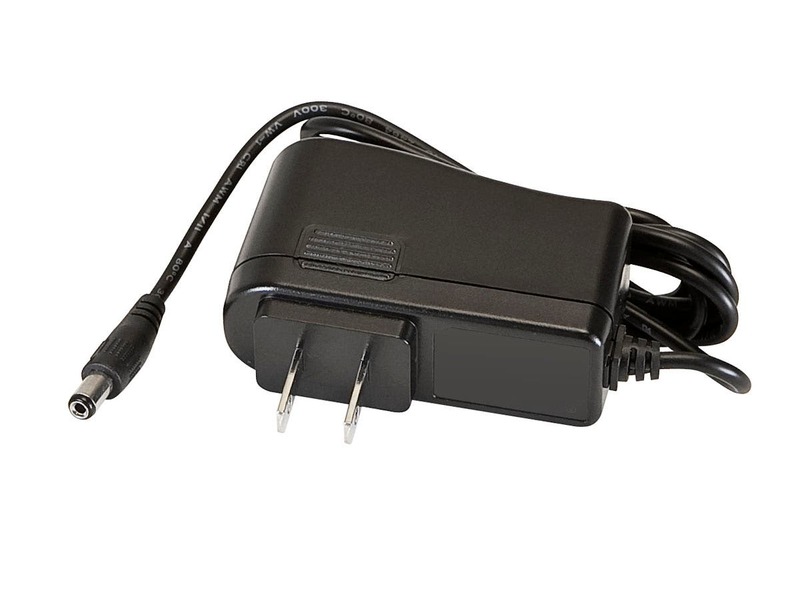 i notice that the splitter has an on and off switch, is it necessary to turn this unit off after use? Worked exactly as expected. Will defently use again. Split the signal of video and audio 4 ways... works as designed. I've only had it installed a few days but it went in fine and I trust it'll be rock solid like the other monoprice SDI equipment I've had running for over a year. CONS: None yet, wouldn't mind if monoprice started making rack mounting kits for SDI gear, but shelves work well enough. PROS: Small, inexpensive, all ports on one side. CONS: None so far. Just certain amount of suspicion that this unit must somehow be inferior to the ones I paid $300 for. I just haven't found out why yet. This is a great item for the cost. It is very useful for small economical system. Works well for small control rooms and portable systems. The performance and cost of these can't be beat. PROS: Works well for a small 1080i system. Distributes the signals very clean and with no signal loss. CONS: Power switch can be easily bump and the DC power cord can be pull out too easily. Has a problem with signal distances close to the 100 meter distance which the more expensive units can handle. Works similar to units that are 4x the cost. Haven't tried it in all possible scenarios, but can't beat the price for most situations. 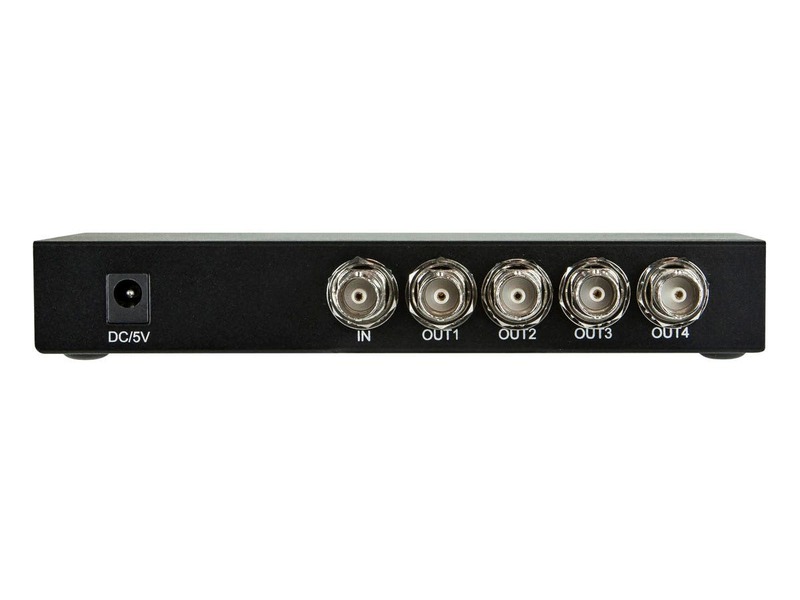 Works well to distribute 4 HD-SDI video signals. PROS: Works well with 1080i HD-SDI signals. CONS: Has a power switch that could accidentally be turned off if in a tight space.